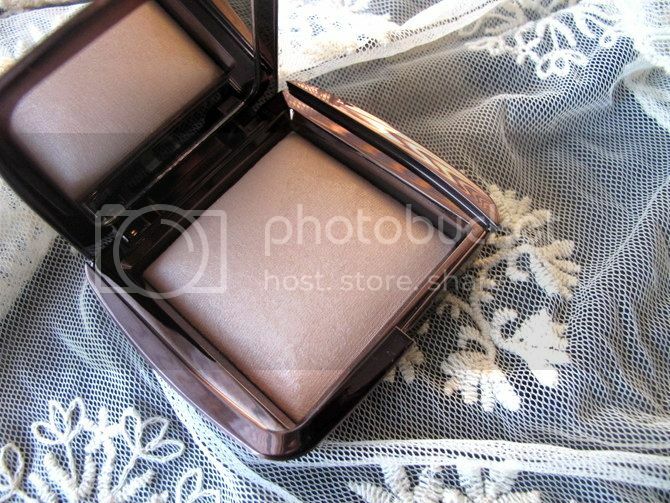 Hourglass Ambient Lighting Powder in Luminous Light - "must have" or a "nice to have"? 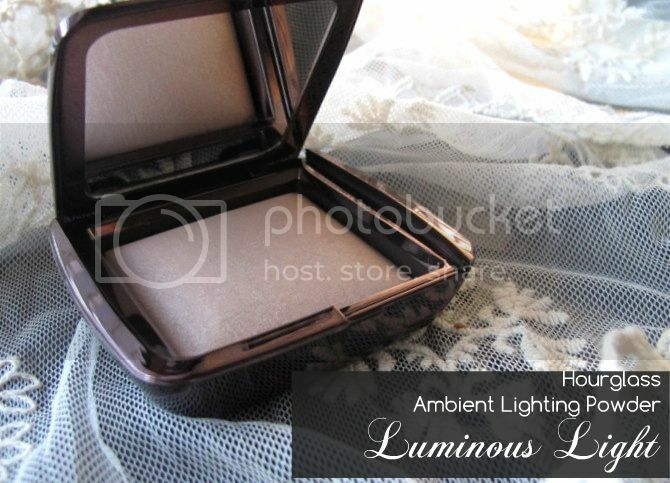 If you're a beauty lover like me, chances are you've heard a lot about the Hourglass Ambient Lighting powders. These are finishing powders, meaning that you apply it to your face after you've finished all your other makeup and what it does is give you a luminous, soft glow. They are not as shimmery as highlighters, but not as flat as traditional powders. I'd seen them on many blogs before, but I didn't want to commit to buying one until I had a swatch. There are 6 colours to choose from, so I wanted to make sure I got the right one for me. Well, last week I was at Westfield Parramatta during my lunch break when I happened to notice a new Meccamaxima store had opened there! 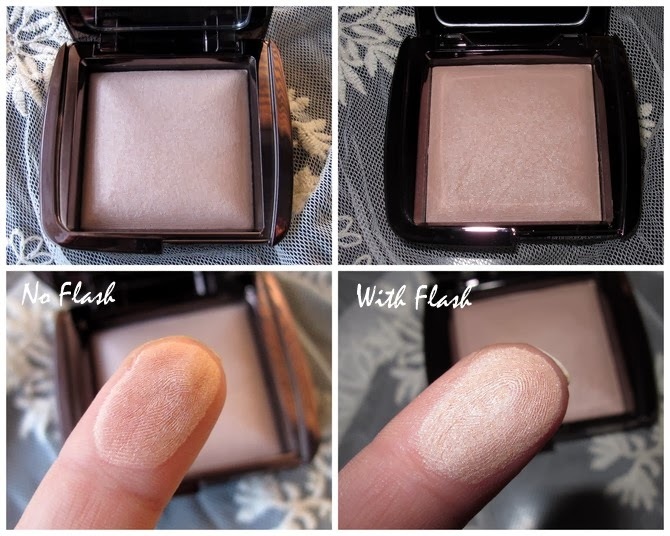 So after a little 10 minute visit I left with one of these Hourglass powders. I initially had my eye on Radiant Light but after the MUA swatched that and Luminous Light on me we decided Luminous Light looked better. Luminous Light is a champagne shade which is subtle enough for me to wear every day on top of my usual foundation/powder. 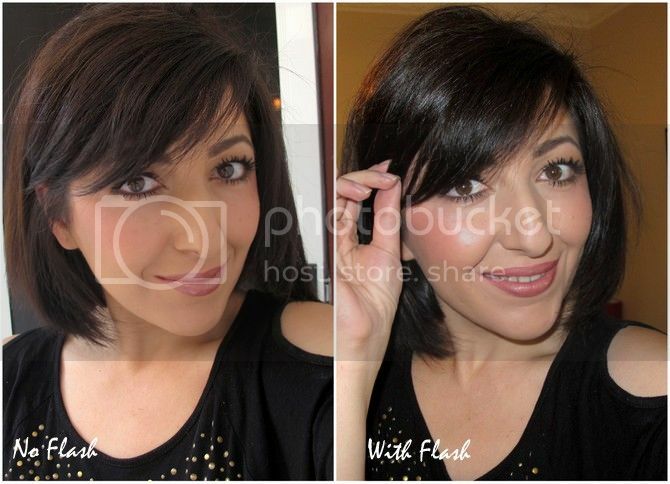 The effect it gives is of a naturally radiant skin, with a soft glow almost like I've photoshopped my skin! The powder itself is very finely milled and buttery smooth and I must admit I'm a little bit addicted to applying this all over my face and seeing my blemishes soften before my eyes. Lets have a look at some swatches and how it looks on my face. So, is it a must have? I don't think so. It's definitely a "nice to have", and while it does make my complexion look glowy and luminous, it is still quite an expensive item which I won't be rushing out to repurchase when it runs out. If you do want to get this, make sure you swatch them in person first to get the right shade for your skintone. What do you think of this powder? Do you have it? Do you want it? Super expensive but to me it looks like a must have. I really want one of these, but the price keeps putting me off. It does look gorgeous on you though! It actually looks amazing, a little pricey but the results are worth it! I picked up the powder in Dim light a few weeks ago and I've been using it every day since. Must have! Sephora has a palette with three of the powders which is a really good value. It looks so gorgeous with flash... though I didn't rush out and buy it, as I think it's a "nice to have, but not a must have" :) you have such beautiful glow, lilit! Thanks for reviewing this. I have been on fence about this one, but might hold off for a while. But it looks gorgeous on you.